SOUTH AFRICA: At least 19 children were killed in a bus crash outside the South African capital Pretoria on Friday (April 21), emergency services said, after many were trapped inside the burning vehicle. The minibus collided with a truck on a road between the towns of Bronkhorstspruit and Verena, about 70 kilometres from Pretoria. Russel Meiring, spokesman for the ER24 emergency medical service, said the previous toll of 20 children had been adjusted to 19, with the bus driver also among the dead. By the time paramedics arrived “the fire services had already extinguished the burning vehicle, which was found lying on its side”, he said. Many children were trapped inside the bus and most of the fatalities were declared dead at the site of the accident. Several other children were injured, with reports that some of them were dragged from the wreckage by people at the scene. The children were given “advanced life support interventions before they were transported to various hospitals in the area for further treatment,” ER24 said in a statement. Department of education spokesman Steve Mabona said some of the bodies of the children were charred beyond recognition. South Africa’s ubiquitous minibus taxis are frequently involved in accidents on the country’s roads. “I am saddened. It’s a sad day for education,” said Panyaza Lesufi, the regional education minister for Gauteng province, who visited the scene of the crash. Earlier the country’s transport minister Joe Maswanganyi had called for greater caution on the roads as he announced that the Easter weekend death toll had increased by 51% to 235 compared to same period last year. 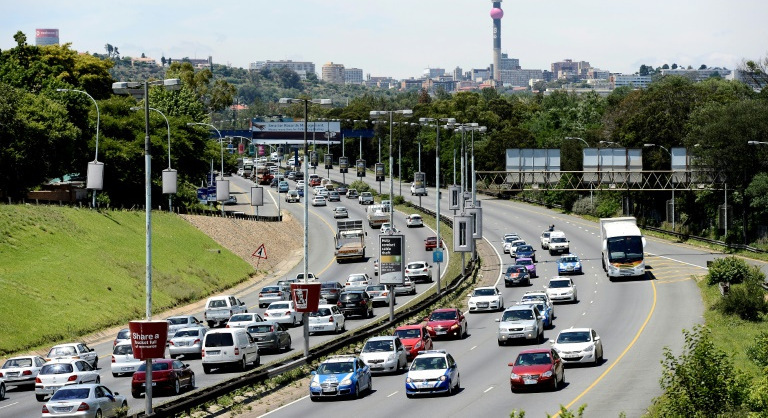 Despite sophisticated road networks, South Africa battles with a high rate of road fatalities blamed mostly on speeding, reckless driving, unroadworthy vehicles and failure to use seat belts.